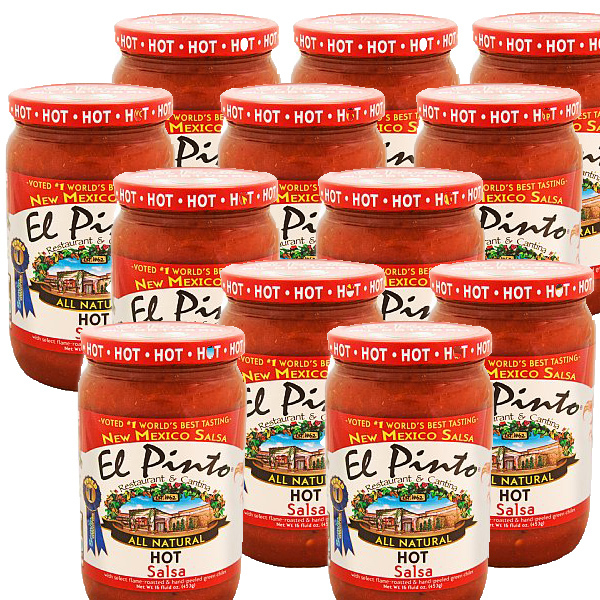 Chill and serve El Pinto Hot Salsa for best flavor. Great on any meat, eggs, fish or chips! 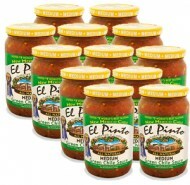 For the Flavor of New Mexico, it's got to be World Famous El Pinto Hot Salsa! * Percent Daily Values based on 2,000 calorie diet. Your daily values may be higher or lower depending on your calorie needs. INGREDIENTS: TOMATOES (PEELED TOMATOES WITH JUICE, CALCIUM CHLORIDE, CITRIC ACID), ROASTED GREEN CHILE, JALAPENO PEPPERS, SEA SALT, GARLIC.